I have been a healer since 1982, when my Spirit Guide, Zenith, first visited me. Shortly after his visit I started down the path of a healer. Zenith continues to have a strong presence in my life but I have had many other Spirit Guides join me along the way. 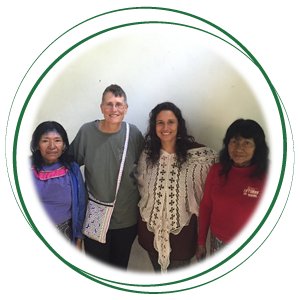 I started studying shamanism in 1999 and have experience with plant medicine and dieta’s in the jungles of Peru. Receiving my Reiki Master Level 3 attunement along with Laying on Hands training complements the Shamanic training I have received. When you arrive, you will have the opportunity to discuss where you want the healing energy directed. As you relax, fully clothed on a massage table, I will begin the session by lightly smudging you with palo santo and sage. I then call in the directions and my spirit helpers. In the healing session, along with my hands, I use rattles, drums, feathers, crystals, pendulums, and singing bowls. I use a no touch technique. You will not feel my hands but you may feel the energy coming off of them. After the session, you will feel very relaxed and should try to have some quiet time to reflect on the healing. You will want to drink a lot of water to help move through the body what has been released. If I can be of services to you, please schedule an appointment. I offer half hour healing sessions for 80 dollars or a full hour for 130 dollars. Healing sessions are held in my healing studio in Saint Louis Park, Minnesota or can be done remote/long distance.